A 48-year-old passenger is dead after a semi-trailer plowed into her car at the intersection of 54th Avenue and Highway 19. According to witnesses, a 52-year-old man in an Accord drove through the red light and into the path of a large truck driven by another 47-year-old man of Lakeland. His truck smashed into the car’s driver side. The force of the impact sent the Accord careening across several lanes of traffic. It struck at least two other vehicles. One passenger in that car died shortly thereafter at a local hospital. The driver of the Accord and one other passenger were seriously injured. The deceased passenger was not wearing a seat belt. In the Sunshine State, contributory negligence can either be operational or non-operations. In the above story, both items may apply. The victim’s car may have run a red light and the victim was not properly restrained. While these facts are not in dispute, their legal effect is questionable. First, there’s the matter of the red light. Apparently, the large truck struck the vehicle when it was well into the intersection. If so, the last clear chance doctrine may apply. Under this rule, legal responsibility rests with the driver who had the last clear chance to avoid the crash yet allowed it to happen. In other words, if the driver of the truck saw the Accord enter the intersection and did nothing to avoid the collision, he may be legally at fault. The same result may apply if the truck driver was speeding, or going too fast for the conditions, and was unable to stop. Second, there’s the seat belt question. In Tampa, insurance companies may use the contributory negligence argument if the victim was not wearing a seat belt. But there are some strings attached. As a result, even if the victim was not properly restrained, the victim may still be eligible for compensation. The insurance company must introduce specific evidence as to the nature of the crash and the victim’s injuries. General safety statistics are possibly inadmissible and most definitely unpersuasive. Moreover, the Tampa victim could have been in partial compliance with the seat belt requirement. The law is very uncertain if, for example, the victim worse the lap belt but not the shoulder harness. Finally, seat belts are sometimes defective. A bad latch or other shortcoming is the manufacturer’s fault, and not the victim’s fault. Florida is a pure comparative fault state. 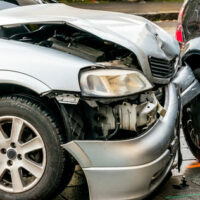 Even if the tortfeasor (negligent driver) is only 1 percent responsible for the accident, the victim still receives a proportional damage award. The Sunshine State recognizes a number of vicarious liability theories. So, many times, the tortfeasor is not the only person who is responsible for damages. The respondeat superior (“let the master answer”) doctrine is one of the most prominent third party liability theories in Tampa. It applies if the tortfeasor was an employee who was acting within the scope of employment at the time of the crash. These terms are very broadly defined. Even if the tortfeasor was an independent contractor driving an empty truck, the shipping company may still be responsible for damages. Vicarious liability claims are especially important in catastrophic injury cases. Many times, individual tortfeasors do not have sufficient insurance coverage to fully compensate the victims in these cases. Intersection crashes often involve complex legal issues. For a free consultation with an experienced personal injury attorney in Tampa, contact The Matassini Law Firm, P.A. Home and hospital visits are available.